Out of Bounds takes a close, hard look at a slice in time at Pine Grove—California’s first and only remaining rehabilitative prison camp for offenders sentenced as teens, before it disappears. In addition to documenting the daily lives and work of young men at Pine Grove as well as the experiences of those released back into their communities, Brian worked with CatchLight, the Pulitzer Center for Crisis Reporting and Project Rebound to facilitate a photojournalism workshop for formerly incarcerated youth at SF State University. Not all prisons have bars and walls. The boys of Pine Grove serve their time in the Tahoe foothills surrounded by vast depths of imposing forest. Many heed from the central valley’s “gang corridors,” and have been doing hard time in Youth Authority facilities since they were 14 or 15. Most had never seen the woods, until it was used to incarcerate them. But, there are many kinds of prisons, and as the boys of Pine Grove near their release dates, they often find themselves unprepared for a return to a world with danger around every corner. A world that never provided them with opportunity now actively seeks to re-incarcerate them. With scarlet letters, their names are printed, for life, on gang registries, ensuring harassment not only by patrol units, but also the gang units tasked with aggressively patrolling their neighborhoods. Out of Bounds looks at targeted policing and criminalization of minority youth and asks, what kind of a society have we built, where a prison camp becomes a boy’s only experience of summer camp? 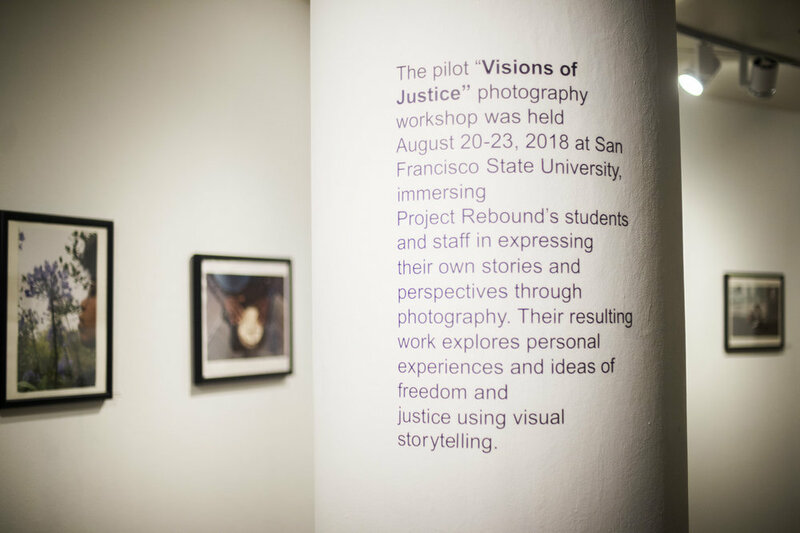 The pilot “Visions of Justice” photography workshop was held August 20-23, 2018 at San Francisco State University, immersing Project Rebound students and staff in expressing their own stories and perspectives through photography. Their resulting work explores personal experiences and ideas of freedom and justice using visual storytelling. The workshop's instructional team was led by 2017 CatchLight Fellow and SF State Alum, Brian L. Frank, Justin Maxon and Jenny Jacklin Stratton. 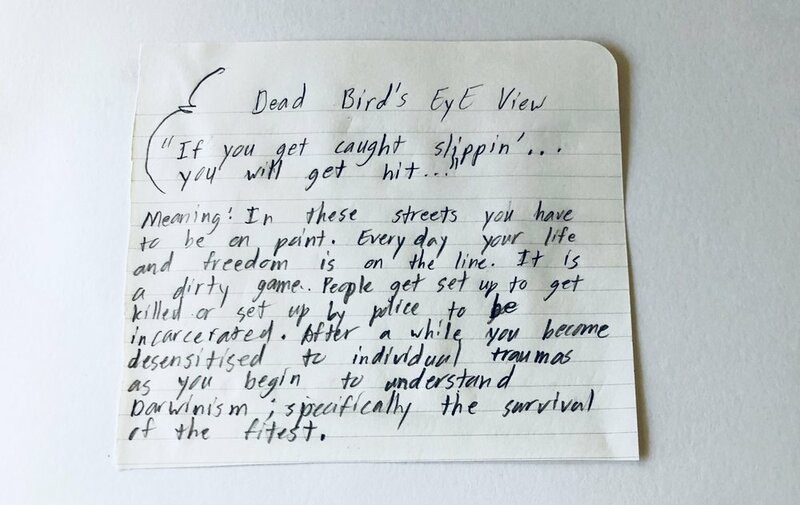 In the six months following the workshop, two of the student’s work was prominently featured in Vice News, and public exhibitions of the student’s photography were produced at SF State (October 2018) and the San Francisco District Attorney’s Office (coming January 2019). Exit evaluations of the workshops indicated that 100% of participants rated the educational experience as exceptional. 100% of eligible participants enrolled in classes at SF State, with over 85% of those students indicating the workshop reaffirmed their decision to enroll. As part of the workshop’s long-term impact strategy, additional mentorship opportunities and a set of cameras remain accessible to students to check out from the Project Rebound Office in order to continue developing their communication skills and personal visual storytelling practice. We promise not to clutter up your inbox. Thank you for subscribing and welcome to the CatchLight community!